The Japanese custom of Tsukimi (月見), moon viewing is traditionally held in mid-September when the moon is at its best and most beautiful in Japan. This custom is celebrated throughout Japan and is believed to have originated in China and introduced to Japan during the Heian period (794-1192). Japanese people usually celebrate Tsukimi by displaying autumn flowers and susuki (pampas grass) in a vase. They also offer dango (dumplings) and satoimo (taro potato) to the moon in an altar. People also enjoy looking at the moon and enjoying its beauty at this time of the year. With the clear autumn sky and crisp days and nights the moon appears especially beautiful. 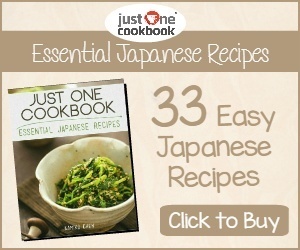 You will find kind a lot of dishes around this time of the year featuring Tsukimi. 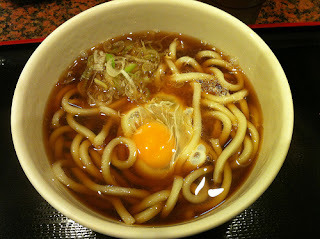 One of my favourites is Tsukimi-udon, which is udon noodles in a hot soup topped with an egg, which resembles the moon. How do I usually celebrate Tsukimi? That will be in the next post, so stay tuned. The Tsukimi Udon looks very tasty! I really enjoy reading your entries, because you reveal so much information about Japan. I have learned a lot! Wow, is it already that time of the year again?